At Universa Law Ltd – we understand that our strength, and what sets us apart from the competition, is the quality and experience of our staff. Experience, great customer service, and specialism are what every client needs to ensure their personal injury claim is dealt with correctly, and that they receive the compensation that they deserve. Here at Universa Law we have great staff, and great training, to ensure that the next generation will benefit from the wealth of experience within the firm. Paul is the Director and Principal Solicitor of Universa Law Ltd. The firm was set up in 2006 with a long established team headed by Paul, who is an experienced and well respected practitioner, nationally recognised in personal injury work. Paul has over 30 years experience in the Personal Injury sector, having previously worked with both some of the biggest Legal Services companies, and most respected law firms in the industry. Prior to establishing Universa Law Ltd Paul was an Equity Partner at a West End law firm, where he had developed their personal injury unit from a standing start to a department of over 100 people. Outside work Paul is interested in all sports, including rugby, football, squash, tennis, skiing, judo, circuit training and golf – as both participator and spectator. Travel, literature, history and guitarist in a rock band completes this well-rounded individual. And he also has 3 young sons who keep him on his toes ! Clive is the Consultant Head of Operations and Finance for the business. Day-to-day responsibilities include overseeing and refining existing business processes with the primary objective being delivery of world class customer service. He is also responsible for business development and marketing as well as financial strategy. When he is not busy with his three energetic children, he is an avid supporter of Charlton Athletic FC – a love affair which started when his Grandfather was a board member at the club during the Seventies – more recently though, he has found the joy of non league football and is just as likely to be found at the home of Bromley FC. However, when wanting to relax, he likes nothing more than hurtling down a snowy piste in the French Alps! Mira has over 15 years' experience of handling a mix of complex clinical negligence and personal injury work with a particular interest in serious spinal cord injury, brain injury, amputation, and fatalities. Graduating from The College of Law, Mira was an Associate at a West End Law firm before joining Universa Law in 2007. As a specialist in the field, Mira has clients throughout England and Wales and regularly travels to visit clients at their home. Her client base includes overseas visitors who have suffered serious injury whilst in the UK and she has travelled overseas for business. Within the last five years she has recovered in excess of £10 million in compensation for her clients. She has worked on numerous high profile cases which include representing victims of the M4 crash. 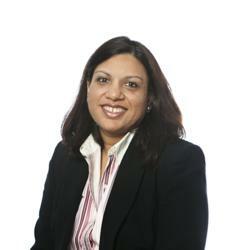 Mira is a member of the Association of Personal Injury Law, and the Law Society's Personal Injury Panel. Outside of work her interests include travelling and reading. She is an active supporter of the Sathya Sai School in Kisaju which is a pioneering autonomous education project in Kenya. Rossano is a Personal injury Claims specialist in all types of Personal Injury claims. He has accumulated over 20 years of experience in both Claimant and Defendant Litigation and claims handling. He is dedicated to achieving the right result for his Clients, in an efficient and timely manner. Rossano is a member of the Society of Specialist Paralegals and a Apil accredited Senior Litigator. 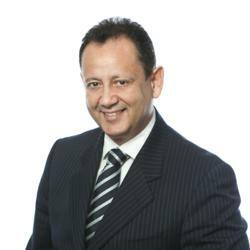 Rossano is also an active member of MASS – the Motor Accident Solicitors Society. 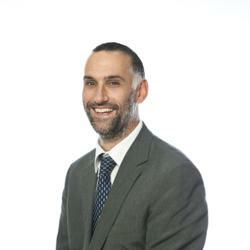 Rossano is also a specialist Debt Recovery Practitioner. He has been working with the Partner and Director of Universa Law for over 15 years. Rossano has two young children who keep him active. He has a passionate interest in History. In his spare time he plays football and golf. He watches football and rugby and is a season ticket holder at the Bedford Blues. Rossano is a qualified youth rugby coach and coaches rugby on a Sunday. His music tastes are wide and varied – anything by Paul Weller will do! Sarah is a Legal Secretary and Personal Assistant to Paul Cairaschi. She has worked with Paul since 1998, and has been his PA at Universa Law since its inception. In addition Sarah supports the Senior Solicitors, and has assisted in many high value cases, where her work has been invaluable in assisting the solicitors achieve the best settlements for our clients. Outside work Sarah is interested in High Performance cars and visits many car shows. Sarah is also a keen swimmer. David started his legal career in 2008 where he trained at a leading regional firm before qualifying as a Solicitor and deciding to specialise in claims involving medical negligence. Over the years David has been involved in securing multi-million pound settlements for children who have suffered brain injuries at birth, families who have lost relatives as a result of negligent medical care and multi-party actions. David continues to receive instructions from Clients across the UK who have suffered injuries in the private and public healthcare setting. Whilst some of David's clients have gone on to make full recoveries many have suffered life altering injuries. Outside of work David is a keen horseman and has a horse stabled close to where he lives. When he is looking for a slightly slower pace he enjoys going to the cinema and taking city breaks, Florence being his favourite destination so far. "I would like to say a big thank you for the way you have handled my case...You have shown me compassion and empathy throughout while dealing with my case and I thank you from my heart. I will have no hesitation in recommending you to anyone I know who may need help". "I write to commend you for your hard work, as we are pleased with the outcome and your professionalism...We appreciate the information and advice you have given to us, as your expertise and help have been invaluable during the process. On the basis of your work on the case, and the success you achieved, we would be happy to recommend your Firm to others who may be seeking such assistance". "Our cases are very detailed and complex and go back many years. David Khamo has an excellent understanding of these cases...I have nothing but praise for the professional way this matter have been dealt with by David Khamo steering the process". "I just wanted to say thank you for seeing my claim through to an end...My mum was a lovely lady whose last few years were very difficult for all of us, but especially her. Thank you again for all your help and advice". Happy Father of 3 children. Qualified as a Barrister and Solicitor of the Supreme Court of Nigeria in 1997 - specialising in both Criminal and Civil litigation and advocacy. Qualified as a solicitor in England and Wales in 2007. Housing law specialist ranging from Disrepair matters to defending possession proceedings as well as assisting homeless applicants. Hobbies: Watching football, boxing and tennis. Love reading and travelling. I have an 11yr old boy that keeps me on my toes. David has over 10 years' experience handing a mixture of complex PI claims including El/PL, RTA, fraud and Clinical Negligence. David's first Degree was in Pharmacology & Physiology, which he studied at the University of Manchester before his move to London in 2011. Having completed his post graduate studies in Law, he is now a Legal Executive. Outside of work, David's interests include, travelling having been to Australia, Hong Kong, South America and many more. He is an enthusiastic cook and enjoys staying fit by weight training and cycling. Johura Graduated from Middlesex University in 2013. Johura works as a FRU Legal Assistant which involves dealing with the initial stages of Road Traffic Accident claims, Employers Liability, Public Liability and Occupiers Liability claims. She is currently studying GDL at BPP University and in completion of this, is wishing to complete her LPC. Interests: Driving. Dining out, socializing with friends and family. In her spare time she likes to go to the cinema, her favourite genre being comedy. Yvonne graduated with an undergraduate degree in Law in 2017 and completed her LPC at University of Law in 2018. 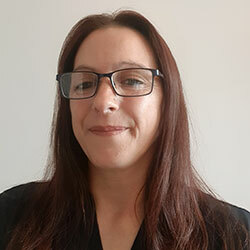 Yvonne works as a FRU Legal Assistant which involves dealing with the initial stages of Road Traffic Accident, Employers Liability, Public Liability and Clinical Negligence claims. Interests: Outside of work, Yvonne is a passionate volunteer for London's Air Ambulance. She is an avid fan of football and tennis. Yvonne also regularly goes to concerts and enjoys travelling – her favourite trip so far was travelling around Switzerland and France. Maya graduated from York University in 2015 and has completed both the GDL and the LPC at BPP University. 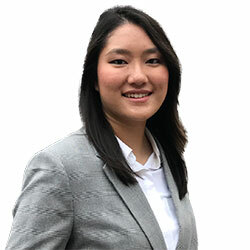 Maya works as a FRU Legal Assistant which involves dealing with the initial stages of Road Traffic Accident, Employers Liability, Public Liability and Clinical Negligence claims. Interests: Travelling to different countries and spending time socialising around London.